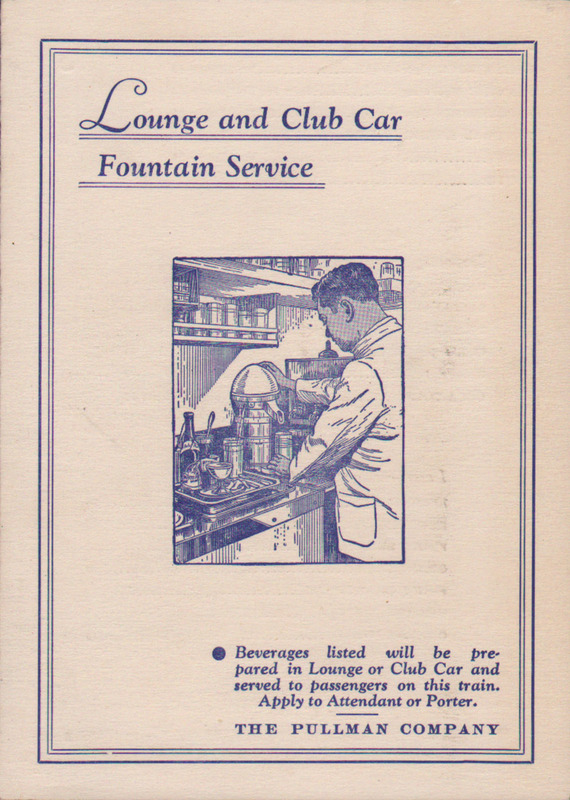 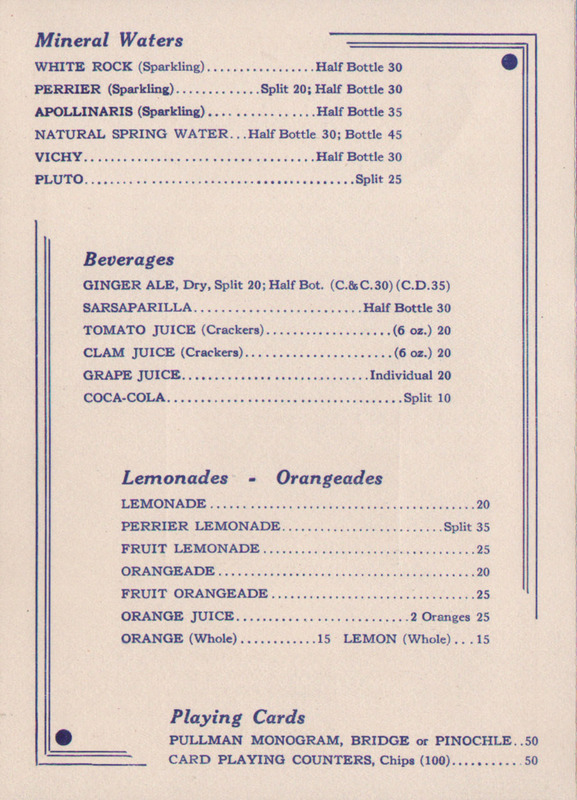 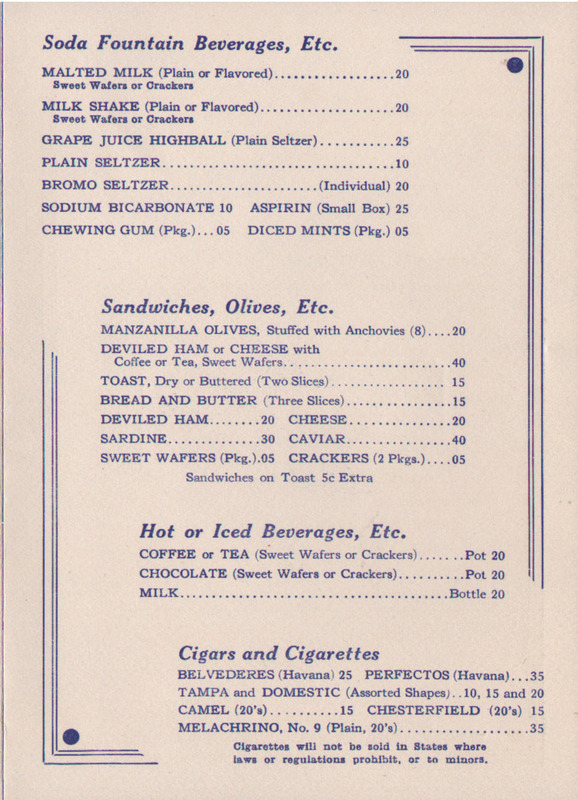 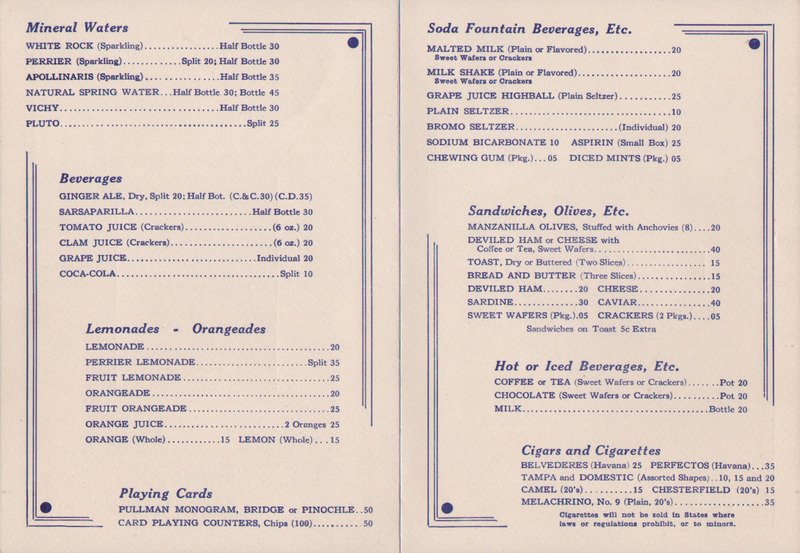 Description Pullman 1933 Lounge and Club Car Fountain Service/Tea Service Menu. Could have been used on numerous railroads. 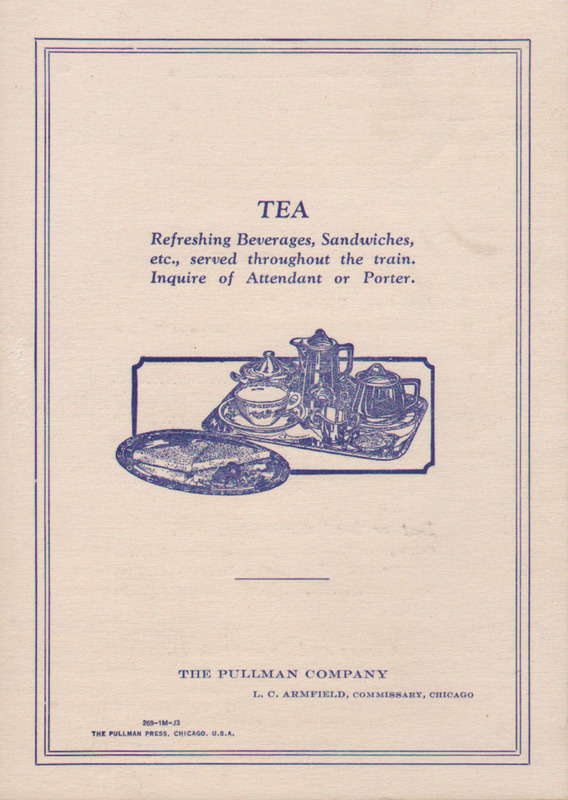 Very few Pullman menus offered tea service, making this a rare item.